"At the heart of the Temple Law community is our outstanding faculty. They blend ground-breaking scholarship with real world experience and a passion for teaching, so that students can fully grasp the power of law to change lives. 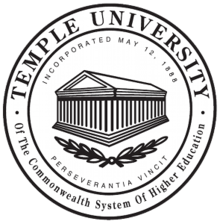 Temple law professors are not content to teach from the casebook and the podium; they are here on the strength of their leadership in the real world and they are committed to addressing problems in the real world. It is this passion – alive in our faculty, our students, and Temple lawyers everywhere – that makes Temple Law the place where law meets life." 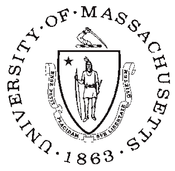 "The University of Massachusetts Boston is nationally recognized as a model of excellence for urban public universities. The scenic waterfront campus is located next to the John F. Kennedy Library, with easy access to downtown Boston. The second-largest campus in the UMass system, UMass Boston combines a small-college experience with the vast resources of a major research university. With a 16:1 student-to-faculty ratio, students easily interact with professors because most teaching occurs in small class sizes. Ninety-three percent of full-time faculty hold the highest degree in their fields." (Source, University of Massachusetts Web Site). "The South Lancaster Academy family is dedicated to nurturing independent thinkers who will go forward seeking a lifetime of learning, total fitness, positive social interactions, and a joyful relationship with God. General practice of law specializing in civil rights; employment; criminal defense; selective Orphan’s Court matters; wills; criminal justice consulting; governmental relations; governmental consulting; and various pro bono matters. Offer instruction to college students by way of “Introduction to Corrections,” a comprehensive course outlining the role of corrections as an arm of law enforcement, and its role in the criminal justice system. April 2008 to January 2009. Responsible to execute and assist in shaping the legislative agenda of an at large councilmanic office. Key aide in facilitating the introduction of Bills to ban the use of cell phones while operating a motor vehicle, and to curb the influence of money on municipal elections. Coordinated, negotiated, and leveraged political interests with other council members, councilmanic staff, and high-level officials of the judicial and executive branches of City government. Chief executive officer of a $271,000,000 corporation with 1.6 million square feet of secure physical plant in 10 separate locations. Responsible for the health, safety, emergency preparedness, and security of 136,000 individuals a year, along with 2,300 staff (1,750 armed security officers and specialized units), 2,000 volunteers, and 650 contract staff from medical directors, medical doctors and other professional staff, to line contract employees. The corporation also was responsible to administer and provide comprehensive drug and alcohol addiction services, as well as an educational component for residents and staff. Primary focus was to systemically analyze all programs and procedures and implement new data based, performance focused, strategic planning and operational measures. Implemented aggressive and successful enhancements in the running of a $55,000,000 medical and behavioral health operation saving over $28,000,000.00 over 5 years. Brought multiple private and governmental entities together to oversee, coordinate compliance, or resolve the complex class action lawsuits: Jackson v. Hendrick (prison conditions); Santiago v. City (Youth Study Center); Harris v. Reeves (prison population); and Warrington v. City (court records). Mediated intra-organizational disputes, responsible for rendering legal advice on all aspects of the corporation’s operations, and managed or facilitated in-house and external legal services. Reviewed, drafted, created, and implemented polices and procedures, as well as negotiated contracts. Supervised numerous confidential investigations, and developed respect and creative partnerships with local and state governmental officials. Building on experience working for the U.S. Equal Employment Opportunity Commission, the Massachusetts Commission Against Discrimination, as well as General Counsel to the Prison System, and a major trial in 1995, I was responsible for all phases of litigation in matters brought against all City departments involving employment discrimination and employee discipline. Negotiated resolution of numerous disputes and conflicts without the need for litigation, or prior to an arbitration or trial on the matter. Provided representation for the Philadelphia Police Department before the American Arbitration Association in police disciplinary matters. In 1993, one of the founding members of the a new unit in the Law Department and represented police officers, correctional officers, sheriff’s deputies and other civil servants in matters against the City pursuant to 42 U.S.C. Section 1983. Responsible for all phases of litigation and negotiated hundreds of resolutions to disputes before, during, and after the litigation process. Served as one of three lead attorneys in the 39th Police District civil litigation. Became very familiar with the operations of many divisions of the Police Department, the Prison System, the Department of Human Services, the Clerk of Quarter Sessions, and the Sheriff’s Office. Tried numerous jury trials to verdict in federal court. Provided training at the Philadelphia Police and Philadelphia Prison Training Academies concerning the use of force, civil liability of officers, and the United States Constitution. Litigated personal injury claims in state court, including motor vehicle accidents, slip and fall, as well as property damage claims against the City of Philadelphia and its various departments. Tried countless arbitrations in the Philadelphia Court of Common Pleas. Obtained integral knowledge of the operations of various city departments. Philadelphia County District Attorney’s Office. Click here to learn more about the N.I.C.